Sae Ma Eul, Solaris Mont Kiara. - MisTan IzZy | Travel & Lifestyle. 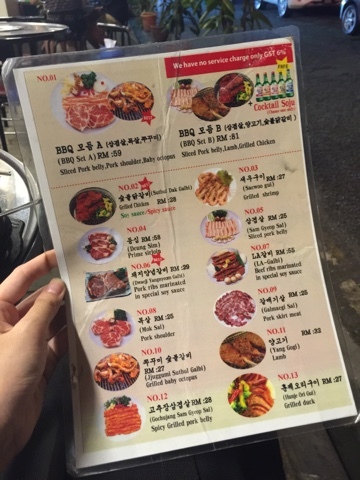 If you are a barbeque lover, a korean food eater, you will never want to miss out this restaurant, Sae Ma Eul which located in Solaris, Mont Kiara. This restaurant is full of customers especially on Friday and Saturday night, you will need to queue up if you did not come early! What so special about it and what I like the most about Sae Ma Eul is that they are not like the typical classy barbeque restaurants that offer air-conditioned environment with premium service, instead of that, they are more Korean-style like restaurant with open door shop, charcoal barbeque stove, and you will need to bake the meat by yourself :) It's a perfect place for drinking friends! 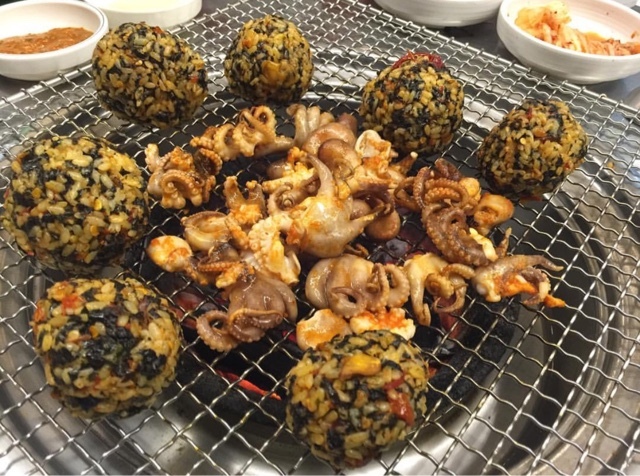 Must try food are the baby octopus, and spicy rice ball, and of course, not to forget the "Soju"! 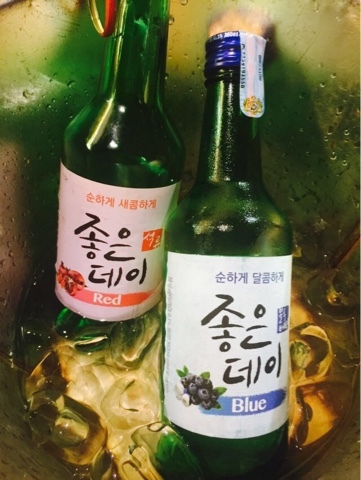 Normal Soju is quite strong, but with these new series of colour Soju, its sweetened, I like the blue one. 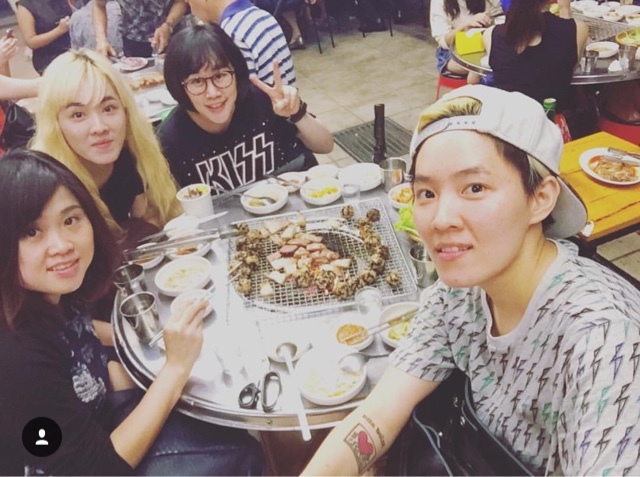 If you are not a frequent alcohol-drinker, you should try out "Makgeolli" ;) In Korea, BBQ is a snack that accompanied for alcohol drinking, unlike in Malaysia, many of us take it as dinner. It's a wrong perception LOL. Solaris Mont Kiara50480, Kuala Lumpur. except they are closed on every 1st & 3rd Monday. The food does look pretty yummy. I love Korean food ! Solaris is a haven for Korean food. I always there to purchase korean side dishes stocks at K Mart. Passed by this cuisine and feel want to give it a try. =D Thanks for sharing. oh my gawwddd... this looks superbly awesome!!! my favourite dinner place of all times! Love their food. I was always at that area and don't know got such great food. Will try this out. 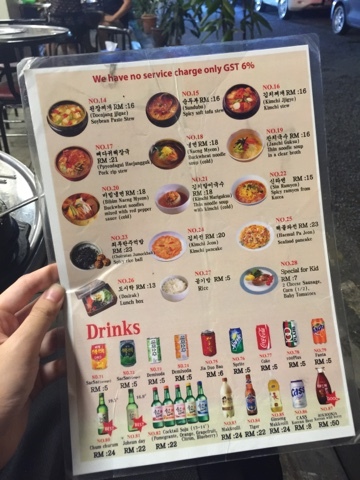 So you tried exotic food in Korea. Must be a great experience. Kiara is a girl's name currently in vogue in India. 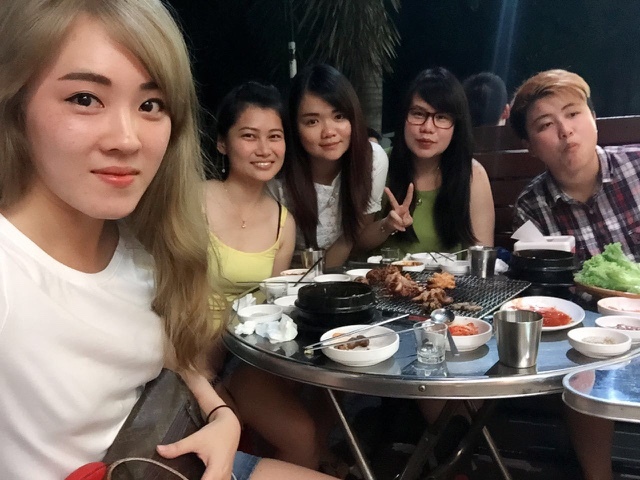 Well who don't love BBQ and it is best to be enjoyed along with family and friends.